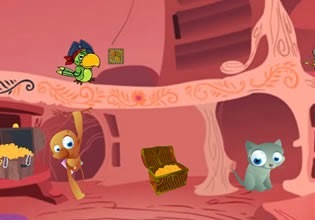 Pirate Treasure Island Escape is a new pirate adventure escape game developed by Ainars, sponsored by EscapeFan. Explore mysterious pirate island and solve puzzles to obtain 7 diamonds, golden crown. Give them to pirate ship captains and escape from treasure island. Have fun!